This study focuses on understanding the experiences of Nurses, Midwives and AHPs (NMAHPs) undertaking a Clinical Academic Pathways (CAP) programme, specifically examining how nurses and AHPs build research capacity for the benefit of the individual, the organisation and patient care. NMAHPs recruited to the CAP programme spend 60% of their time in clinical practice and 40% on the programme studying for a Masters in Clinical Research. To examine and investigate the impact of the programme on NMAHPs research knowledge and skills. To examine and investigate NMAHPs learning strategies. To understand how NMAHPs utilize research in clinical practice. To examine the impact of capacity building activities on career development. 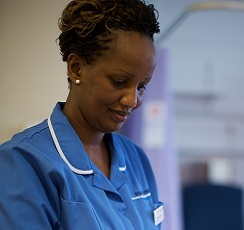 A longitudinal study, collecting qualitative data (interviews) at four time points with nurses and their line managers. The interviews will take place over a three-year period, from September 2015 to September 2018. Research capacity building is viewed as a way of enhancing the ability of a professional group to conduct high-quality research. Capacity building is centred on developing individual and organisational capabilities and focuses specifically on the ability to transfer newly acquired capabilities to clinical issues and challenges. Research has shown that simply developing skills in collecting, preparing and disseminating research evidence is not sufficient for developing and transforming knowledge into clinical outputs and action. The majority of literature typically concentrates on developing the skills needed to participate in and undertake research projects. However, the development of skills required to successfully utilise research in clinical practice and quality improvement has received less attention . To fully understand how research capacity is developed in organisations, it is important to understand the process of learning and development.